To celebrate the Year of Giving, Etihad Guest has launched a special Ramadan campaign with Emirates Red Crescent to provide thousands of meals to families and children in need in Somalia. Members of Etihad Airways’ award-winning loyalty programme can donate their miles to the emergency response in the African country, with 750 Etihad Guest Miles providing one meal. The aim of the campaign is to achieve 15 million miles of donations which would provide 20,000 meals. 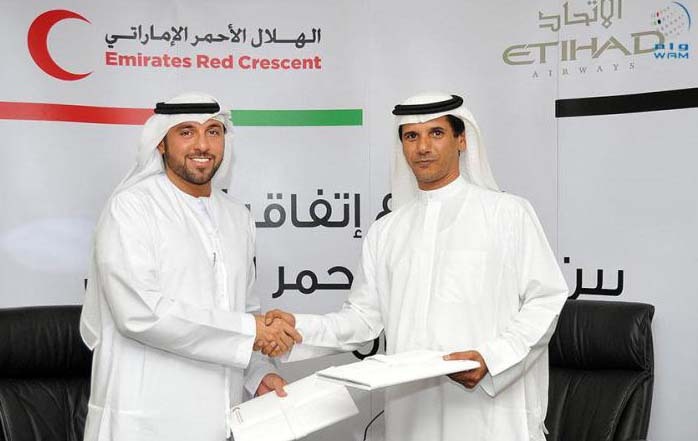 The Etihad Guest partnership with Emirates Red Crescent is one of the many elements of Etihad Airways’ contribution to the UAE’s Year of Giving programme. Yasser Al Yousuf, Managing Director, Etihad Guest, said: “We are asking our members to make an easy but crucial statement this month by letting their miles make a difference to thousands of children and families in need in Somalia. Etihad Guest members can donate any amount they wish however for those wishing to donate more than 750 miles, 3,000 Etihad Guest Miles will feed a family of four and 37,500 Etihad Guest Miles will feed a community of fifty people. The link on the Etihad Guest website (etihadguest.com) has a simple mechanism for members to donate miles at the touch of a button. Earlier in the year, Etihad Airways announced that it will donate one dirham from every flight ticket sold in the UAE during 2017 to Emirates Red Crescent’s local and international humanitarian projects. The UAE national airline has also painted one of its flagship Airbus A380 aircraft with the Year of Giving emblem to promote the campaign in its destinations around the world.